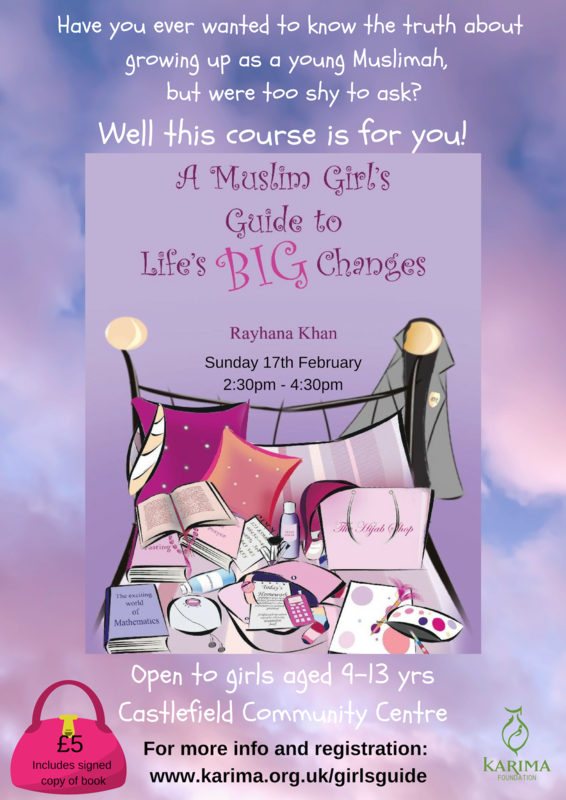 Have you ever wanted to know the truth about growing up as a young Muslimah but were too shy to ask? Well this session is for you! -Puberty / ghusl and lots more! PLEASE NOTE: Dear Parent, this session is part of a wider course which is now full. Please continue to the registeration link below to register your daughter for this session ONLY.